Over the summer holidays, I decided to visit Australia covering Melbourne and Sydney thus had to look for flights between Melbourne and Sydney. 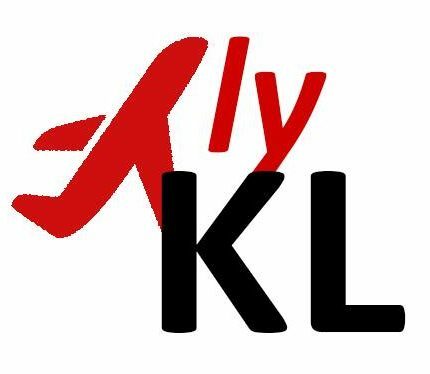 Initially, I started looking for the cheapest option on the various LCCs in Australia but recalled I have some Skyward Miles on Emirates that was going to expire soon. With much excitement, the amount of miles that were going to expire allows me to redeem a one-way Business Class ticket on Qantas thanks to the partnership between Emirates and Qantas. With dates confirmed, I secured my ticket through a redemption via phone call after having some issues redeeming through the Emirates website, and only had to pay for tax which was about £19. I was even more excited when I saw through the manage my booking page via Emirates that I am allowed to book a complimentary chauffeur ride but apparently this was an error as I had issues booking that and later called up to reconfirm, my excitement was short lived as the chauffeur service is not available on Domestic flights. Anyways, I made my seat selection and was very excited to fly my virgin J class on the latest Qantas Business ”Suite” as I especially chosen the flight which was operated by the A332 on this route. Majority of QF’s flights on the MEL-SYD vv. route is operated by the B737. Fast forward to the day of travel, arrived at Qantas Domestic Terminal 1 at MEL via the Skybus. As I have previously traveled with QF in economy from Dubai to London, this will be my second Qantas flight. An overview of the departures level of this dedicated terminal for domestic and regional flights on the Qantas Group Airlines (Qantas and Qantas Link). First stop was the self check in kiosk to retrieve my friend’s boarding pass (A friend of mine was travelling with me on the same flight in Economy). Very handy weighing scales placed at various locations at the departures level (F.O.C). Next up, to the dedicated manned service counters for status holders or passengers travelling in business (like myself). No fancy red carpet or enclosed area but just a separate area on the departures level (to the right of the security clearance). In the queue just for a couple of minutes and it was my turn, as I arrived at the airport quite early because I wanted to spend more time in the lounge, the check in agent actually asked if I wanted to board the earlier flight but I politely declined for the extended lounge visit, to be on the A332 and also to be on the same flight as my friend. I did not realize that my ticket was a flexible one but then again it was a redeemed ticket so I suppose it has all the flexible features which was great! My very first business class boarding pass, where I will just have to flash it to enter the business class lounge. The second print out is my baggage receipt note, which is not a sticker like what I would get in Economy, I wonder if this is also a J class feature? :O After spending approximately 2 hours in the business class lounge where you can read about my review here, it was time to head for the boarding gate for my flight to Sydney. Boarding had already commenced when my friend and I arrived, I then bid farewell to my friend for the time being as I boarded through the dedicated lane for business class with no queue. However, as only 1 aerobridge was attached to my equipment of the day, it meant that I had to wait in line on the bridge before I can board the plane along with the other economy passengers. As I made my historic left turn upon boarding, I arrived at my pre-selected window suite?! [5A], the last row of the front business class cabin. First impression of the seat, very impressive for a domestic flight, huge IFE screen with good amount of personal storage space and ample leg room with a fully lie flat bed that I did not have much of a use on this short flight. An interesting discovery would be the in seat massage feature that is built into the seat and can be controlled from the panel on the right in the above picture. Note that various charging options that are available next to the seat. Good amount of privacy as noted above, I will not be able see the other passengers in the same row unless they lean forward. Picture above was taken when boarding was still in progress, it was a 100% load in business that evening with majority of the passengers being business people and I was actually the youngest in the cabin (or looked the youngest :P). Welcome drink offered by the very friendly cabin crew, with a choice of only still or sparkling water. No bubbles unfortunately. The IFE system by Qantas is very impressive and current, as noted by the presence of Katy Perry’s latest album, which made me very happy being a Katycat (A fan of KP basically :P). The touch screen was also pretty responsive. Alternatively one could also use the controller which is situated under the arm rest next to the seat, which also features a mirror when opened. Noise cancelling headphones also provided. It was the first time I saw the aerobridge being retracted just next to my seat. The usual stuffs in the seat pocket in economy was a tough one to spot, only noticed them in the compartment next to the IFE screen as I explored the ”suite”. Cannot seem to recall the safety demonstration on my first flight with Qantas back in 2013 but the current one impressed me as it was filmed across the various attractions in different Australian cities. Flight path of the evening, just a short hop unfortunately, wished it was longer. Had a quick try of the lie flat bed after the seat belt sign was switched off after take off, very comfortable and good amount of leg space. Not enough time to really rest in this position for this flight though as meal service commenced right away. No menus handed out but just a verbal choice of either Barramundi or a vegetarian option. I went for the fish along with a hot chocolate. Not sure why I was craving for such a drink at that point of time, I guess I was already done with my alcohol quota for the evening at the lounge earlier. The food was good but perhaps I was already full from the lounge I did not finish the dessert. The hot chocolate also tasted rather weird from what I usually have, maybe it was just me. Overall decent food I must say for such a short domestic flight, even my friend who was travelling in economy got a decent main, unlike some other airlines who may only serve a drink (or snack when in luck) on such a short flight. My very first of a business class laboratory, note the tiled floor. Size was pretty standard and just slightly different finishings from the usual WCs in economy. Tried my luck on playing cards as souvenirs but was offered these instead, better than nothing I guess? The cabin crew said that they do not have them on domestic flights apparently. Time flies when you are having fun, and it was definitely the case for this flight, already approaching Sydney shortly after meal service had completed. Final approach to SYD. Touched down after an hour in the air, taxied pass a Qantas hangar featuring some turboprops as noted above. Docked next to the other smaller roos at the domestic terminal of SYD. Bidding farewell to my lovely suite with a double window view. A final look at ”Kangaroo Valley” that brought me to Sydney from Melbourne whilst waiting for my friend to disembark the aircraft. Proceeded to the baggage reclaim area but no bags have been delivered yet which is understandable given it was a domestic flight and the absence of passport control which meant that passengers will be at the baggage area pretty swiftly. However, the wait was not long at all and my bag was the first few to arrive given the priority it has thanks to the business class tag on it. 🙂 All set and it was time to head to the city center! *Disclaimer: Given this is my very first business class flight, I do not have any comparison to benchmark it against. Overall, I can say that my virgin business class flight and the entire experience was a very positive one and the saying ”once you go business, you never want to go back to economy” is very true. Given that this was only a domestic business class flight, with a flight time of approximately one hour, it felt like I was on an international flight, which is partly due to my flight being on the A332 and the business class product onboard. From check in to the lounge visit and the actual flight, there is minimal areas I can fault, and this might be due to the lack of benchmark I have but it is definitely a thumbs up to Qantas. The deployment of the business suites on this route is very much appreciated, the very friendly yet professional service by the senior cabin crews serving business class despite being time constraint impressed me and I hope to get the chance to experience this again in the future! Previous Top 3 tips before booking your next flight!